Professional kids entertainer for your wedding. HenorStag.com is Ireland and the UK's leading FREE Hen and Stag party planning website. Mint Events is here to help bring your wedding wishes to life. Wedding Pages is Ireland's most comprehensive free directory of wedding vendorss & suppliers. We operate fairly and independently to provide the best quality service to both our visitors, and the wedding vendors and suppliers listed here. © Copyright Wedding Pages Online Ltd 2017. Registered in Ireland no. 568224. 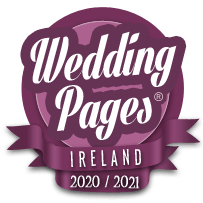 Registered Office: Wedding Pages Online Ltd, Ballycumber, Co. Offaly.